This month, we are showcasing new products in the Holiday Catalog. I couldn’t resist putting these adorable new pumpkins from the Pick a Pumpkin bundle in the pocket from the Pocketful of Sunshine bundle, which is in the Annual Catalog. I also added a sentiment, some branches, and a tiny bit of washi tape from the Holiday Catalog. 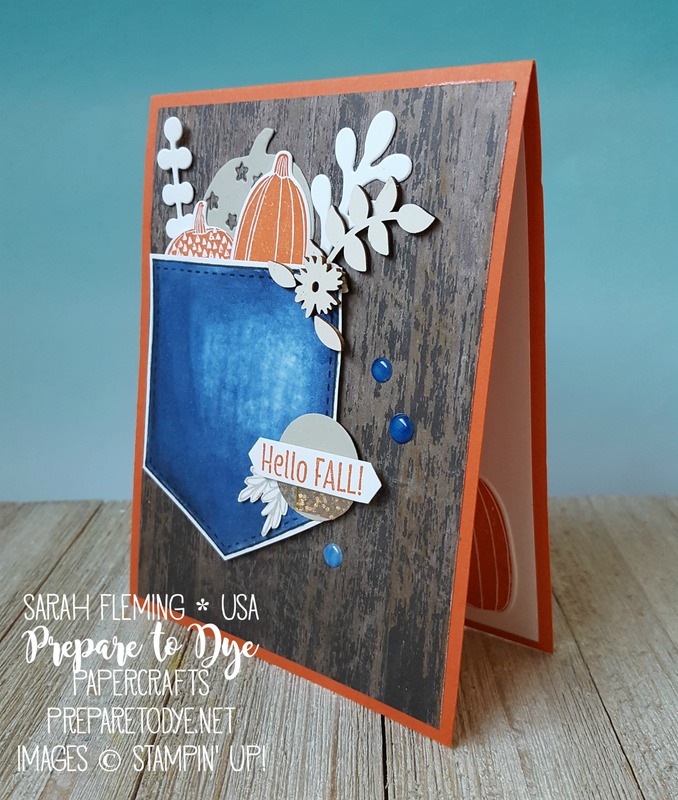 After I arranged the pumpkins and various branchy things (stamped in Tangerine Tango and cut from Whisper White and Sahara Sand cardstock) on the Wood Textures DSP background, I made the pocket. 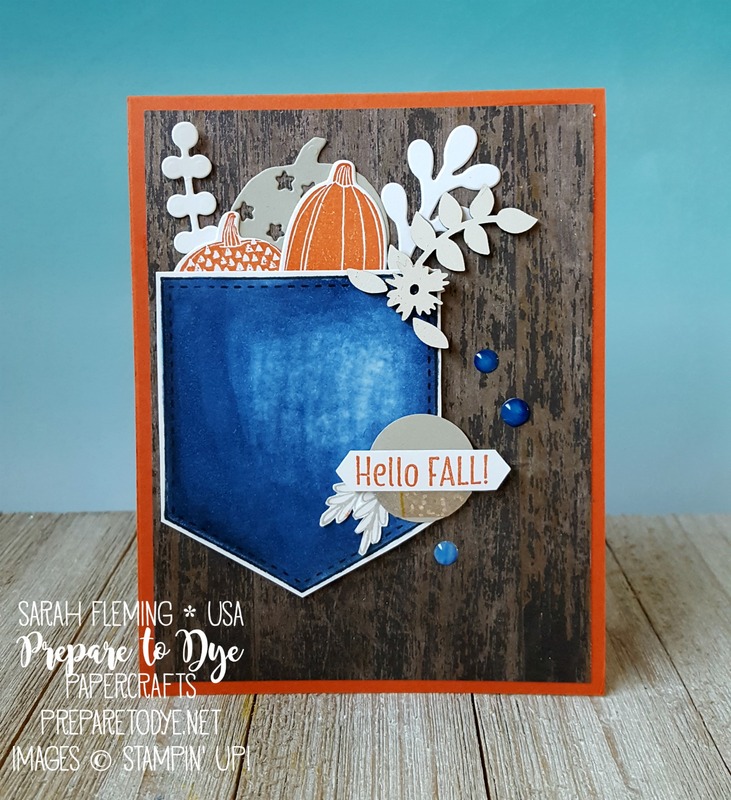 I stamped the pocket in Memento Tuxedo Black ink, then colored it with the Dark and Light Night of Navy Stampin’ Blends. I colored the whole pocket in Light Night of Navy, went over the lower and left parts of the pocket with the Dark Night of Navy marker, went over the whole thing again with the Light NN marker, and then finally brought in the Color Lifter to “fade” the pocket. I just applied the color lifter over and over until I achieved the faded jeans look I wanted. I put the pocket up on Dimensionals, then added the sentiment, from the Merry Cafe stamp set, accented by some Year of Cheer washi tape. I colored some White Perfect Accents with Dark and Light Night of Navy markers and added those to the card. I also added several pieces from the Touches of Nature Elements. Finally, I finished the inside of the card with a liner and another pumpkin. I just love how it turned out! It really screams PUMPKIN PATCH to me. I hope you enjoyed my card today! Make sure you follow the hop all the way back to me so you can see everyone else’s projects that use items from the Holiday Catalog. The designers on this team are so talented — you won’t want to miss any of the blogs! 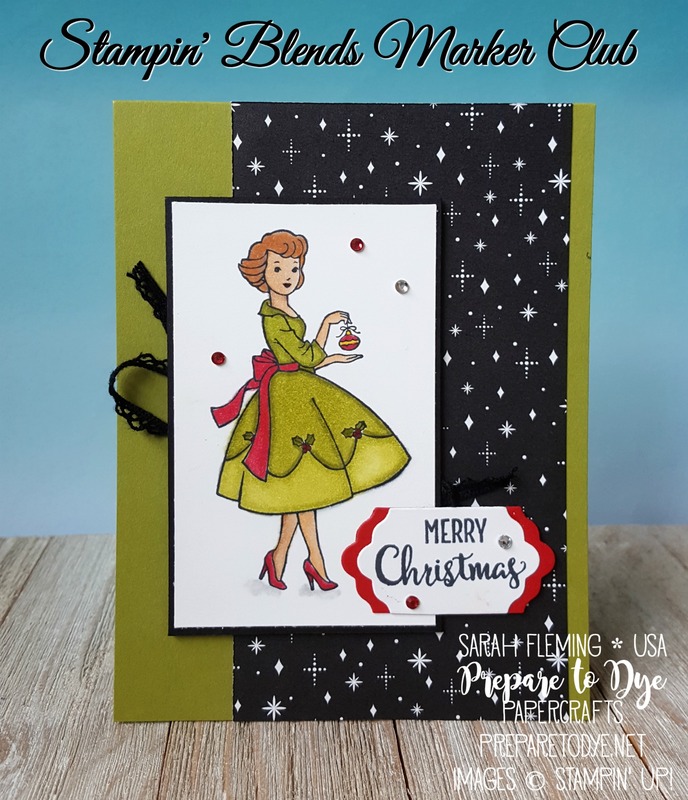 Everything I used on my card can be found in my online Stampin’ Up! store (the Stampin’ Blends markers will be available to customers November 1st — less than a week away!). 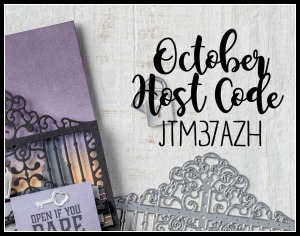 Make sure to use the October Host Code (below), and I’ll send you extra goodies! Love the faded pocket. What a great use of the new Blends! 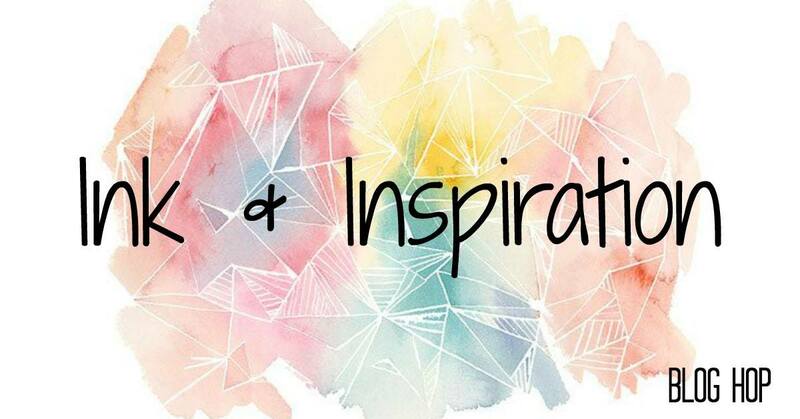 Shows they are for more than just coloring! Oh how cute!! Thanks for sharing!